BLUE WHALE, the French exporter of apples has exhibited for the first time in PMA Fresh Summit with Interfel pavillon. Pascal Marrocq, Sales Manager South America, comments company progress on export markets, season forecasts, trends. 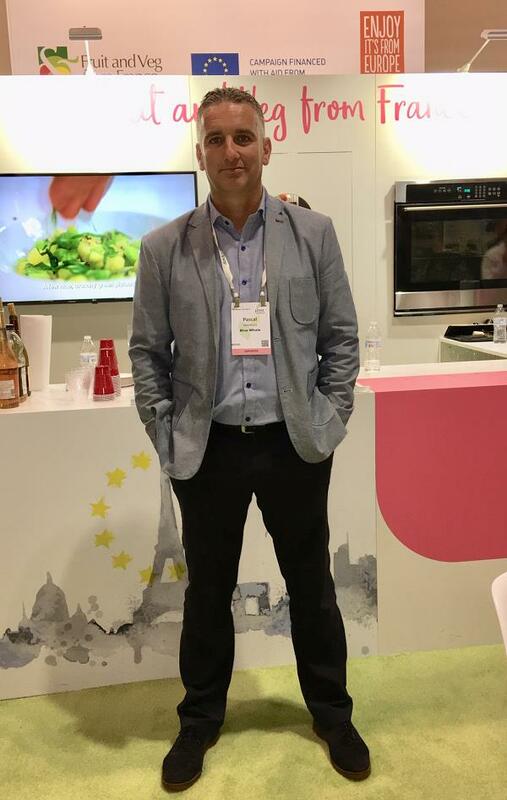 Met in Orlando, Pascal Marrocq, Sales Manager South America comments: "I came here in PMA Fresh Summit as a visitor but it's our first time as an exhibitor. It s an interesting event to meet professionals from the whole American continent. "As a global player, being present there is an obvious choice for BLUE WHALE. We are still experiencing a good development on export markets. We have exported to 70 countries during the past season. Concerning the 2018/2019 campaign, harvest is coming back to normal levels in west Europe, comparable to 2014/2015/2016 seasons. The quantities announced for Poland are very important. But this has to be confirmed as it often appears that real figures when season ends." "Concerning quality, the more fragile production have now been sold, What we have now is great quality. Technical progress has been huge in last years thanks to innovation. Quality is not an issue anymore. As a matter of fact, we often notice that a variety can last up to 1 extra month compared with normal period." "As growing trends, markets segmentation is something BLUE WHALE is working on , by developing new varieties. The other big trend is organic, which is a strong trend. We have planted organic orchards and our volumes in organic will be increased." Pascal Marrocq, Sales Manager South America, on Blue Whale Booth at PMA Fresh Summit.